The Volcom Captains Ins Jacket offers some warmth over a normal shell but also provides a little better waterproofing than you would normally see with most insulated jackets. The only minor issue is the way the sleeves flare out just below the shoulders. 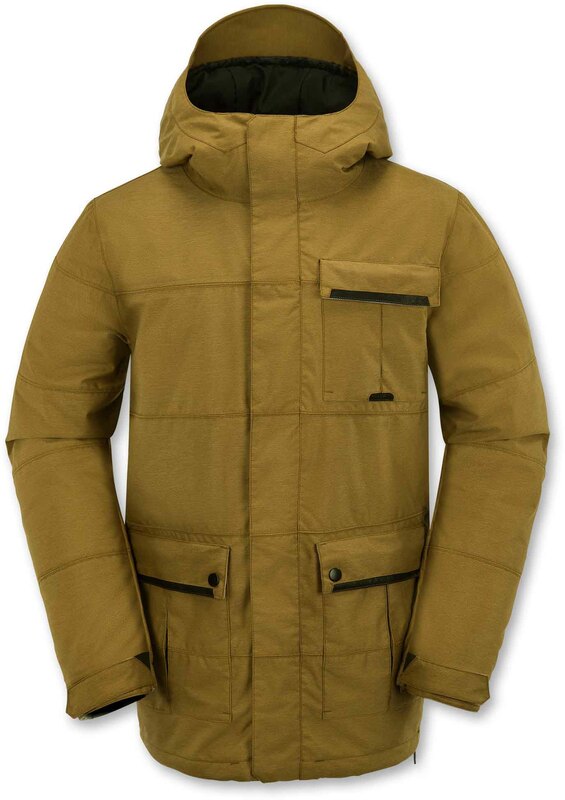 If you can get past that you have a pretty good jacket for those that like a little extra warmth and only need mid level waterproofing. Turn On’s: Size L Jackets that fit well around my chest, Riding with Friends, Open Roads, new gear and my wife. Turn Off’s: Size Jackets that don’t fit well around my chest, traffic and people who can’t park inside the lines. Fit: I like the fit of Volcom Jackets and this fit’s well too. The only thing that is a little off is the arms flair out a bit near the shoulders where there is a little fancy pattern work there. I feel like I’m right in between a size Medium and Large with this jacket but would opt for Large I tried for the extra layering room. So overall it fit’s well and I like the look and feel. The insulation and thicker material make the jacket feel thick but not super thick. It will take up some space in your bag but it’s not a total hog. 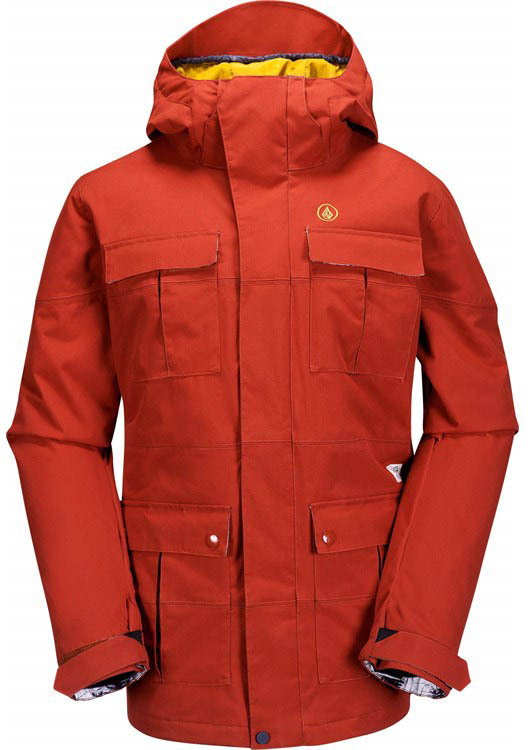 Construction: Volcom does a good job at building a long lasting jacket and you pay a premium for this higher end construction. 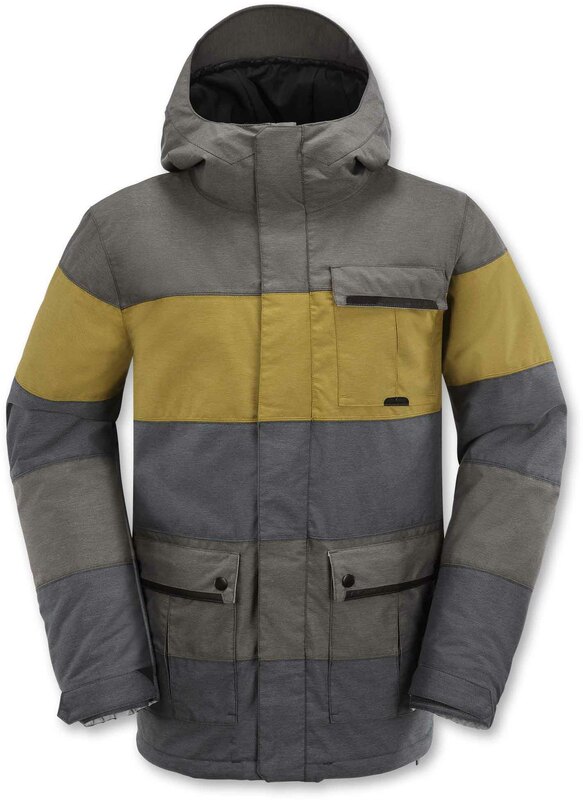 Many friends I know who have owned Volcom outerwear for many years feel this somewhat higher price is worth it. 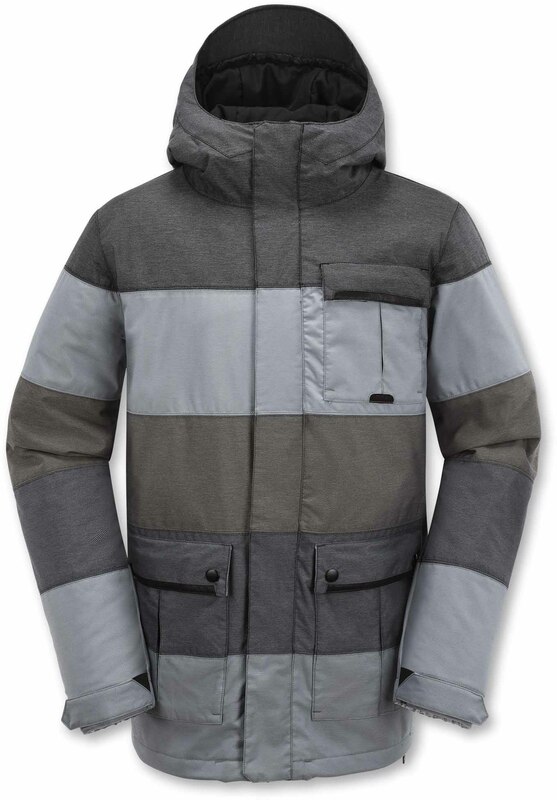 Hood: Love that almost all Volcom jackets have a contour hood because these hoods really use their name and contour around your goggles leaving no skin exposed when properly tightened. After being stuck on a chair with an articulating hood for almost an hour in cold windy weather I found that parts of my cheeks were exposed no matter how I tightened the hood. Insulation/Warmth: I run warm so this is all the warmth I need for colder days in the Sierras and it’s the kind of jacket I’d like to bring to colder dryer places in the Rockies and such. It’s also not too warm to overheat me if temps climb up to the 30’s (Fahrenheit). If you run cold this is a nice alternative to a shell and can save you some layering. Waterproofing: 15k isn’t bad and it can handle some wet snow but it’s not ideal for those that see a lot wet snow to rain. Volcom’s waterproof rating seems pretty true. I’ve had some companies that tout 15k not hold up as well as Volcom when the weather get’s wet. Overall: All in all The Volcom Captains Insulated Jacket is a good choice for those that want a lot of pockets, mid level warmth and to have a jacket that will last them for a while. It’s hard to go wrong with this if the jacket fit’s you well and you don’t see a lot of rain. We try to get as many images of the Volcom Captains, but forgive us if they're not all there.